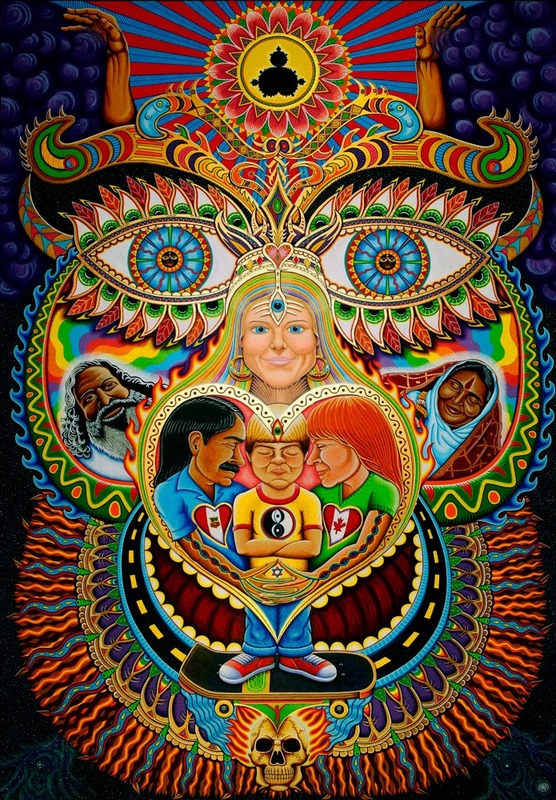 visionary canvas prints and visionary canvas art for sale and visionary paintings for sale Follow this link n check out these Visionary Art Canvases, including some of my own in Fine Art America. Please check out this video that I made describing the past/present/future of Creation Skateboards, the humble brand I have been directing the last 3 years! Your browser does not support frames. Click here to view the frameless video.. So my big Montreal Mural made an appearance on national Canadian TV news a couple days ago, as you can see in this video. Wish I could score more of the giant walls! 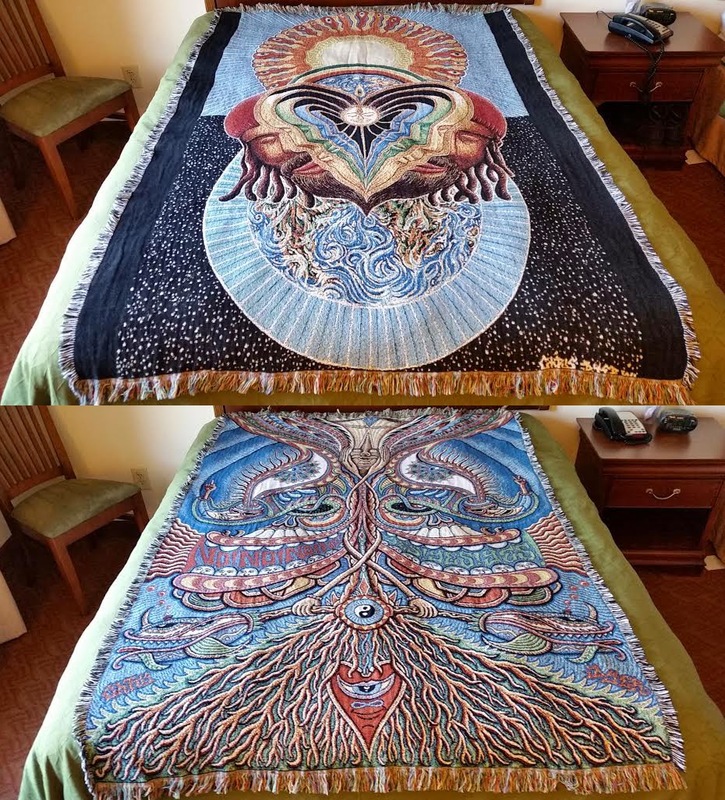 Visionary Art Blankets just released a couple of my blankets, using some of my most popular paintings. Made in the USA, with cozy soft 60% recycled cotton! If you're into getting one, go n hook yourself up HERE!! 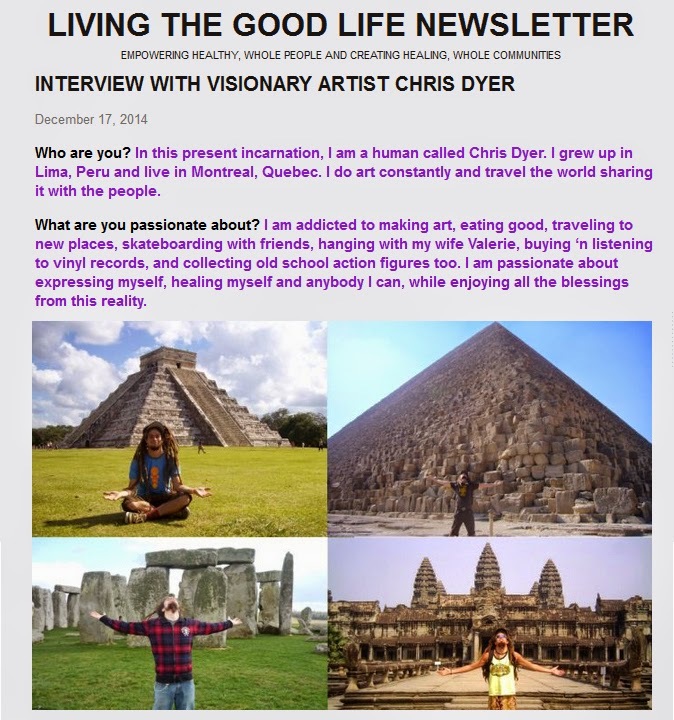 "Living the Good Life" newsletter just posted a new interview with me that you can read HERE. I have recently invested into these new Positive Creations Patches! They are 5 inches in diameter n a real nice way to rep the good vibes I have for you. 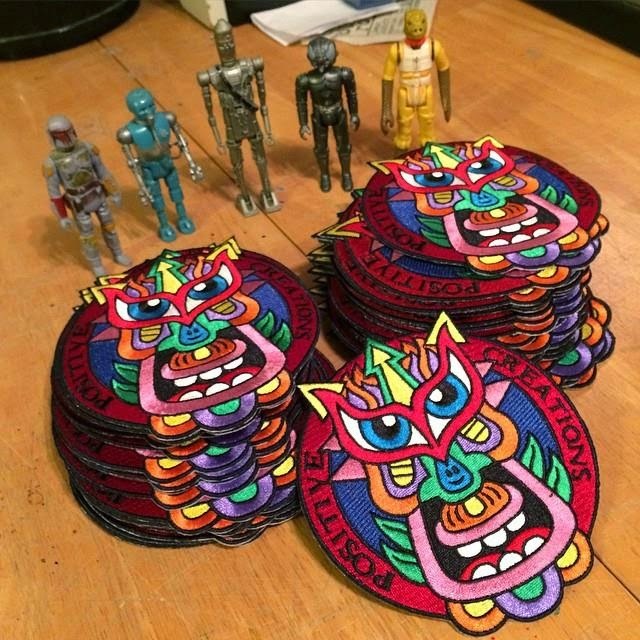 If you wanna grab one, they are up on the "Pins n Patches" section of my inline store www.positivecreations.net . Enjoy!!! Here is a lil video of my last day in Costa Rica. I spent it at the La Familia Farm of my friend Devin and use dteh last of my spray paint to freestyle a quickie on his community building. The dudes there have a Permaculture Youtube channel, so they put this together. Hope its of your entertainment.